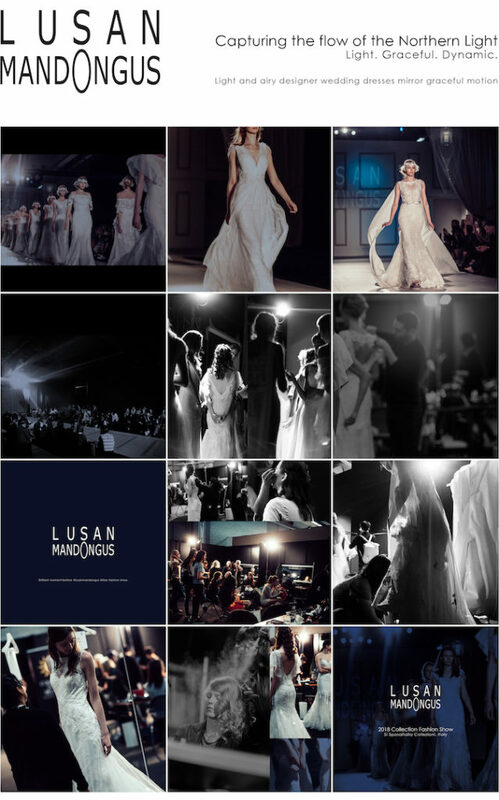 Lusan Mandongus has graced the stage at the recent Sì Sposaitalia Collezioni, showcasing 2018 Collection and brought the Northern Light to the air of Milan. Inspired by the kinetic shift and gentle flow of the Northern Light, our 2018 Collection of designer wedding dresses are light and airy yet dynamic in the most refined of styles. 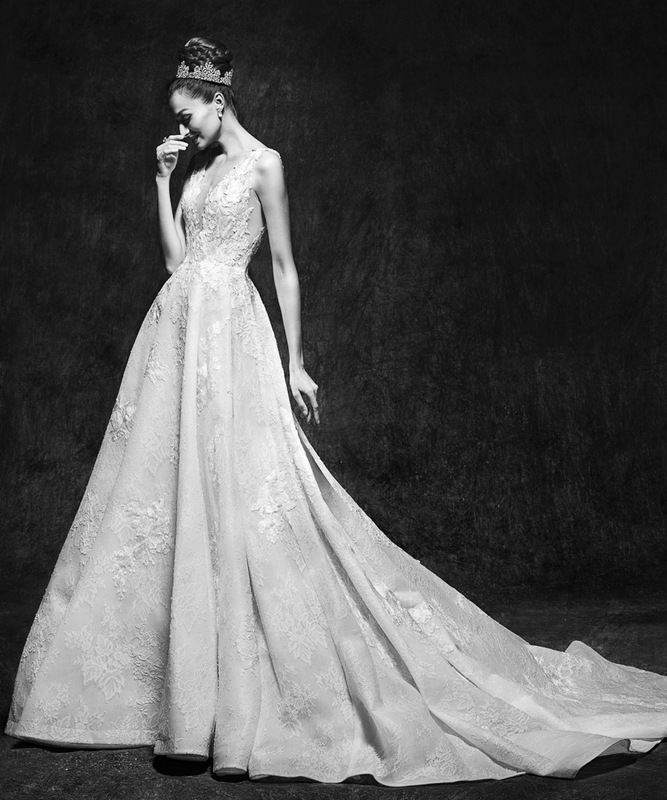 Classic linear structure highlights the natural poise of a sophisticated bride. This collection focuses on enigmatic sheer, fluttering ruffles, and sensuous flow of the wedding dresses to capture the light and motion of the sublime Northern Light. The use of delicate materials and the subtlety of sheer fabric introduce lightness and softness, adding another layer of sophisticated grace to our wedding dresses. 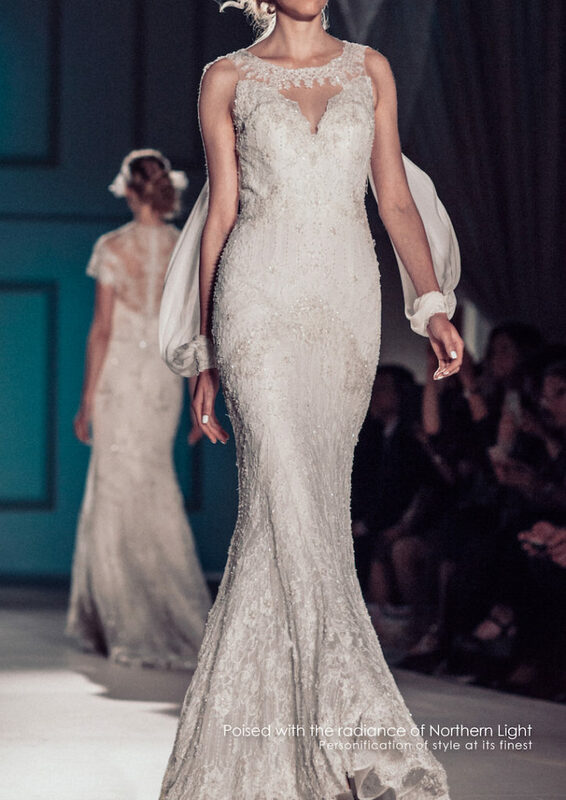 The delicate fluidity of these wedding dress materials embraces the figure of the girls on stage elegantly, creating flattering silhouettes. 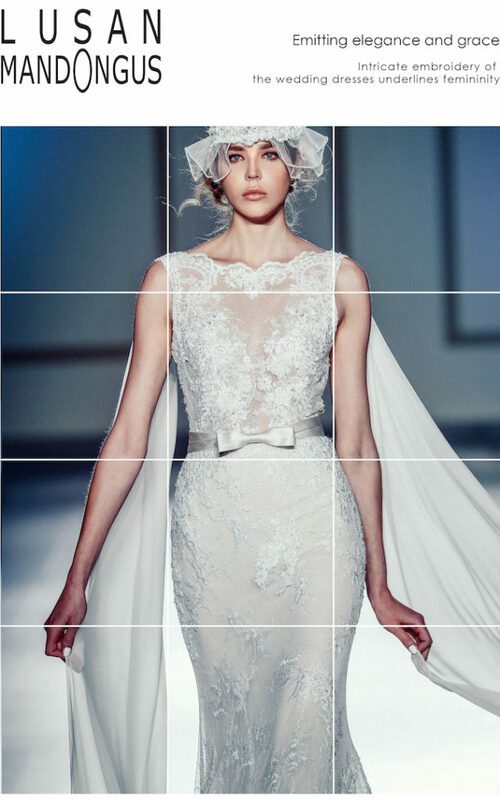 Together with the elaborate embroidery of feminine motifs, the 2018 Collection of Lusan Mandongus is going to be an eye-catching designer wedding dress collection for all the brides-to-be. 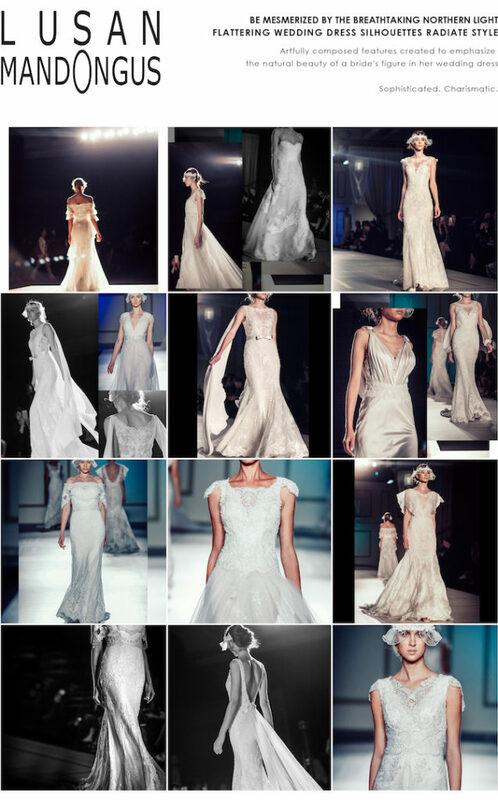 This collection of lightweight wedding dresses is perfect for modern brides who often opt for effortless beauty. 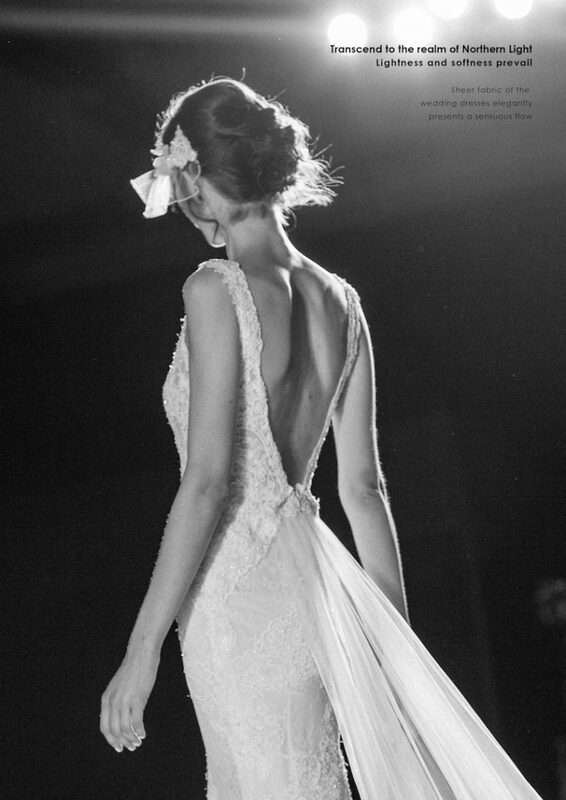 Using the highest quality fabric, comfort of a bride in our wedding dress is key. The collection manifests the classic Lusan Mandongus' expression of sophistication with effortless beauty.